The word “opulence” has recently re-emerged in some branches of popular vocabulary thanks to a certain Drag Race incident. Some of us, though, never weren’t thinking about it. My personal taste is either jeans-and-tshirt simplicity or outlandish glitter ballgowns, with little in-between space. Opulence is the centre of my thought process on the rare occasions I go shopping for clothes which are more than just functional. I’m telling you this because I think my love of all things OTT is one of the things which appealed to me to the work of Foreign Trade. It’s been on for ages and I’ve only just got to visit the week , and now I feel that waiting so long was a massive mistake because this is art I could go back to again and again. But though the suggestions of opulence were what initially hooked me, the show left so satisfied because the art is really good. Let’s talk first about the opulence, then, a concept which finds various expressions through the work of individual artists. It’s easiest to associate it with the artists who deliberately go for a Baroque-esque aesthetic: Gozra Lozano, Angelo Corsi and Ram Shergill. This is the self-taught Corsi’s first exhibition and while the perspectives on his panels seems a little shaky, the witty subversion of the seemingly traditional subject matter is noteworthy. 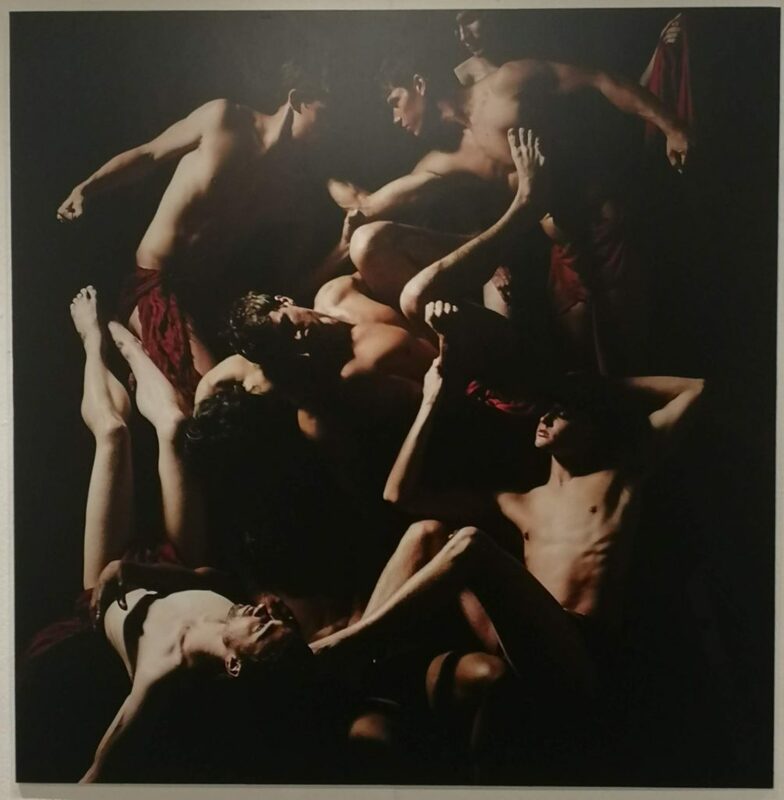 Meanwhile in the centre of the gallery, Shergill’s photographs are based on a gilded Papal indulgence, and include a chiaroscuro-inspired composition of semi-naked men that in its Renaissance connotations is my favourite piece in the show. 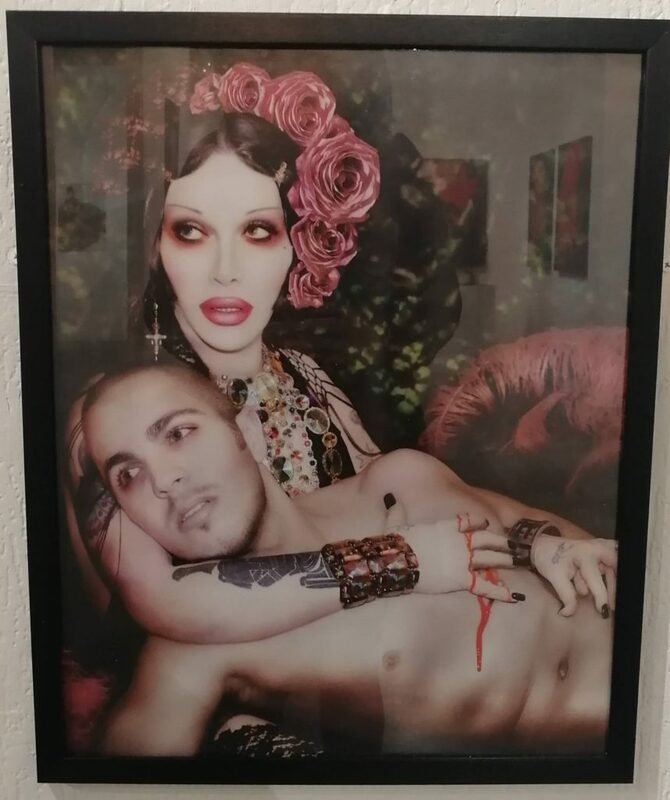 Taking a similar visual language down a more gothic road of seduction are Lozano’s portraits of Pete Burns, which portray the singer in full seductive femme-fatale mode. But taking a different angle, maybe the most over-the-top piece is a performance film by Thierry Alexandre, in which the artist appears to become quivering, fragile part of the somewhat damp and unappealing beach. It’s a disconcerting transformation, one which strongly suggests an anxiety about the relationship between the artist and the land – UK soil, their adopted home which they may, tragically, be questioning their place in. Alexandre’s is not the only work of poignant emotion. 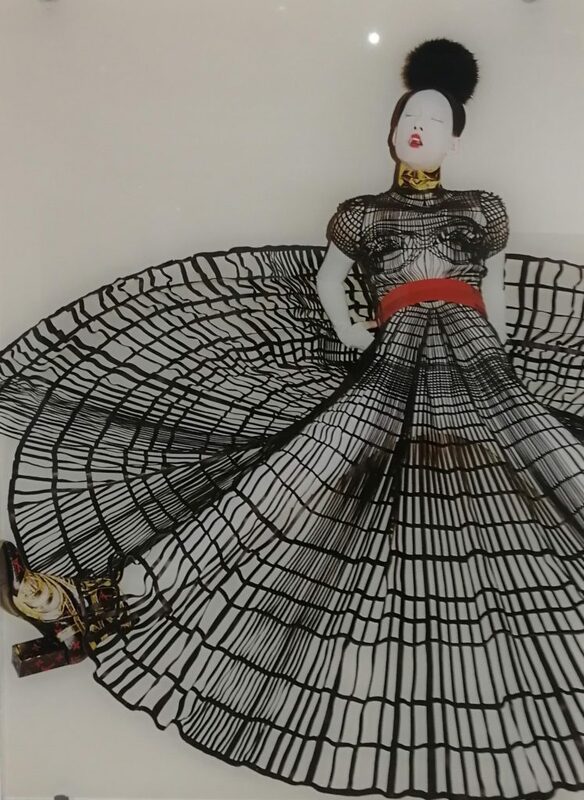 The harshest feelings are expressed by Dee Stanford, who’s metal sphere of female figures speaks for itself on issues around women’s labour and oppression. The black-and-red colour scheme of her surrounding paintings only adds to the mood of anger. Red then turns up on the adjacent wall in the photographs of Michael Wilkinson, Tim Martin and Trunk Xu (all working in collaboration). The aesthetics and production values on the shots could be taken out of a fashion editorial, but to me the restriction of the clothes looked – well, restricting. Not necessarily a design I’d want to be caught in. It’s difficult to read the extent to which Wilkinson. Martin and Xu’s work is deliberately intending to reflect a queer or migrant perspective, or whether its inevitably embedded in their practice. In truth, those themes run as undercurrents through all the work I’ve discussed so far. Queerness can be seen in the eroticism of the male form, or an anger at subjugation. There are also works which are much more deliberate about expressing queer desires – Jason Carr’s celebrity portraits and William Martin’s pots. (side-note: I am really enjoying the current trend for expressively decorated pottery – more please). As for the migrant identity – it’s almost impossible to avoid the political dimension to discussing this right now. The complexity of the relationships we all need to find a way to negotiate is captured in the subtle, yet demanding photographs by Phillip Prokopiou. The poses are inspired by the Classical Greek sculptures from the British Museum. Objects polite society has long considered worthy of admiration, whilst utilising them to create their own myths about society. Introducing indicators of queerness into his seductive figures – figures originating in a foreign land, no less – makes their presence felt. It suggests the long lineage of the existence of these identities and demands that instead of choosing the narrative you wish to read, you confront the truth. Is this country ready to accept such a complete narrative of what these individuals stand for? You certainly hope so. As the hostile environment seems to increasingly envelop the country, the excellent Foreign Trade demonstrates just how much talent and vision we stand to lose if we shut the country off from the influence of the wider world. This entry was posted in Exhibitions, Home, Past exhibitions and tagged art, identity, Liverpool, painting, photography, Queer Art. Bookmark the permalink.